What's Up With All The Home Runs? MLB Hired Scientists. Here's What They Found Out : The Two-Way A panel of experts studied the issue for months but couldn't come up with much more than ballpark determinations as to why home run rates are spiking. 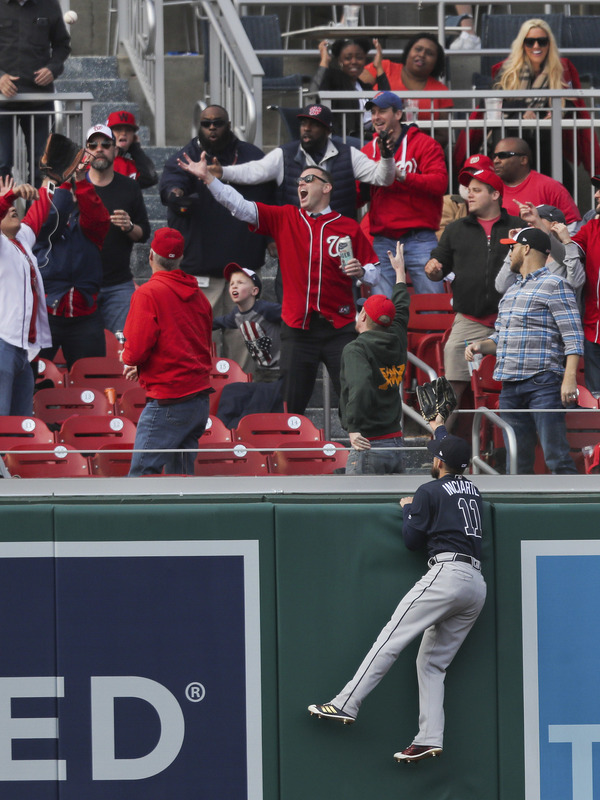 Atlanta Braves outfielder Ender Inciarte watches a home run hit by the Washington Nationals' Matt Adams fall into the stands during the ninth inning of a game at Nationals Park on April 11.